I Start Each Day With a Prayer )0( Please Join Me! summer storm and as quickly spent. original articles, drawings and prose from our GoddessSchool Priestesses and even special guests! 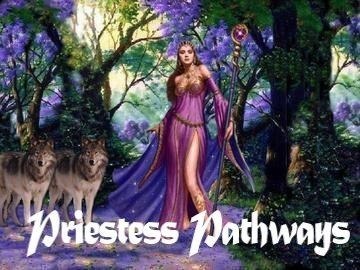 Put your business advertisement to the Priestess Pathway newsletter! $20.00 for one year! And get a free subscription to Priestess Pathways! Get The Yule Issue! Subscribe Now! Goddess is with you always. Each And Every Day A Feast Day! 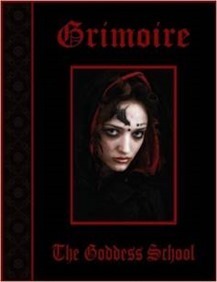 The Goddess School Grimoire is a collection of recipes, artwork, poetry, prose, prayers, rituals, spells, and practical Goddess wisdom put together by the teachers, students, alumni, and friends of The Sisters of the Burning Branch Goddess School. The sisterhood is dedicated to restoring spiritual balance by returning the Divine Feminine to her rightful place and by assisting women in their personal and spiritual development. 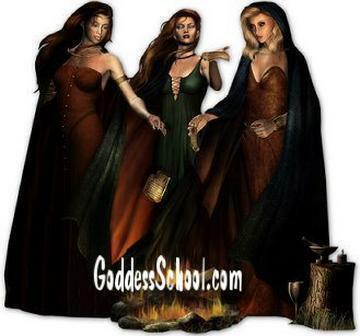 Since being founded by Head and High Mother Priestess Grandmother Moon in 2000, The Goddess School (www.Goddessschool.com) has grown into a large and beautiful global community of women. Buy Your Morning Feast Cafe Press Gear! T-shirts, jackets, mugs, bags and other cool gear!!! the opportunities and issues facing you in the coming year! Now Taking Students! Get Started Today! In many different traditions lighting a candle is a sacred action. It expresses more than words can express. It has to do with gratefulness. From time immemorial, people have lit candles in sacred places. You may want to begin or end your day by the sacred ritual of lighting a candle on this gratefulness. Or you may want to light a birthday candle for a friend. One single guideline is all you need: Slow down and do it with full attention. GrannyMoon Says Today Is: Tiu’s Day – the day of Mars…also Ares, Tiwaz, Tiw (from whom it is named), Tuisco, and Tyr. Tuesday is ruled by Mars, whose Magickal influences are: Passion, courage, aggression, and protection. Tuesday comes under the influence of Mars, the planet associated with vitality, passion, ambition, and raw, unabashed power. Tiw was a God of Athletics, Combat, and Law. Consider meals to improve physical well-being, encourage justice, or increase strength and strategy. Mars energy makes the mind acute, and the body restless; therefore, on Tuesday we are likely to exert ourselves physically and take action to achieve goals. This day is dynamic and high-spirited, and the prevailing energies may include carelessness and destructiveness as well, so it is good to be cautious—-especially while traveling. Tuesday is the proper day of the week to perform rituals involving courage, physical strength, revenge, surgery, and the breaking of negative spells. New Moon, at 8h. 14m. morning. Ascending Node is at 13° Libra. also in 8th deg. of the Constellation Capricornus, the Goat. Moonrise: 6:57 morn. Souths: 12:21 eve. Moonset: 5:46 eve. Spells and rituals involving the Air element should be performed when the Moon is in the Air sign: Gemini, Libra, Aquarius. Aspects of the Fixed Air Sign of Aquarius: Yang, Masculine, Solar, Positive, Diurnal, Airy, Fixed, Barren, Horary Western, Wintery, Austral, Obeying, Human, Moist, Vocal, Sweet, Warm, Mental, Nervous, Hot. The beginning of a new cycle. Keywords for the New phase are: Beginning, Birth, Emergence, Projection, Clarity. It is the time in a cycle that you are stimulated to take a new action. During this phase the new cycle is being seeded by your vision, inner and outer. Engage in physical activity. Spend time alone. New Moon Magick: Invoking. Workings On This Day Are For Starting New Ventures, New Beginnings, Love, Romance, Health Or Job Hunting. beginnings. Visualize your goals for the 29.6-day cycle ahead. Also love and romance, health or job hunting. White moon doth neither rain nor snow. – From the Latin proverb (Clarke, 1639). luminous, portends fair weather for several days. ~ Francis Bacon, “Historia Ventorum”. also known as Pastor et Aries, The Shepherd and the Ram. Marked by the fix’d Star: Algedi, in Capricornus. Sunrise: 7:23 morn. Sunset: 5:15 eve. Length of Day: 9h. 52m. Dawn: 6:54 morn. Dusk: 5:44 eve. Length of Twilight: 0h. 28m. The Sun in the Fixed Sign of Air: Yang, Masculine, Solar, Positive, Diurnal, Airy, Fixed, Barren, Horary Western, Wintery, Austral, Obeying, Human, Moist, Vocal, Sweet, Warm, Mental, Nervous, Hot. Remember The Ancient Ways and Keep Them Holy! The Rowan Moon is associated with Brighid, the Celtic Goddess of Hearth and Home. Honored on February 1, at Imbolc, Brighid is a fire goddess who offers protection to mothers and families, as well as watching over the hearthfires. This is a good time of year to perform initiations (or, if you’re not part of a group, do a self-dedication). Known by the Celts as Luis (pronounced loush), the Rowan is associated with astral travel, personal power, and success. A charm carved into a bit of a Rowan twig will protect the wearer from harm. The Norsemen were known to have used Rowan branches as rune staves of protection. In some countries, Rowan is planted in graveyards to prevent the dead from lingering around too long. Lastly, there is the fourth, wherein fruits are matured, which is “Autumn”. to just find that safe place. Treat each day as a new journey. Tue. 1/20 Altruistic Aquarius New Moon promotes brotherly/sisterly love. Sun into Aquarius brings originality to our days. Wed. 1/21 Quirky Aquarius Moon adds to the confusion as Mercury turns retrograde and all things “re” are featured for 3 weeks. Thu. 1/22 Compassionate Pisces Moon turns eyes and hearts to those in need. Fri. 1/23 Psychic Pisces Moon suggests we can know more than we think we do. Sat. 1/24 Aggressive Ares Moon gets us up and moving early. Sun. 1/25 Athletic Aries Moon seeks out competition for fun. Mon. 1/26 Bouncy Aries Moon starts us off, midday steady Taurus Moon quiets us down. Birthday of Ruth St. Denis 1879 – Great American modernist dancer, breaker of social taboos. Heads Up Seattle, Washington: First of the month of PLURIOSE (rain) in the French revolutionary calendar. St. Paula’s Day, celebrates a young girl saved from the passions of a pursuer by running into a church, where she grew a beard. Remember the ancient ways and keep them sacred! Live each Season as it passes; breathe the air, drink the drink, taste the fruit, and resign yourself to the influences of each. NOTE: Because of the large number of ancient calendars, many in simultaneous use, as well as different ways of computing holy days (marked by the annual inundation, the solar year, the lunar month, the rising of key stars, and other celestial and terrestrial events), you may find these holy days celebrated a few days earlier or later at your local temple. The Winner! Groundedness and the ability to accomplish a task on the physical plane. It traditionally symbolizes a victory of self-discipline. You may find that your mind has achieved greater control over the unconscious parts of yourself. This control is not prohibited or stiff, but does involve bringing unconscious contents to the surface. A personalized guide to help you understand the opportunities and issues facing you in the coming year! 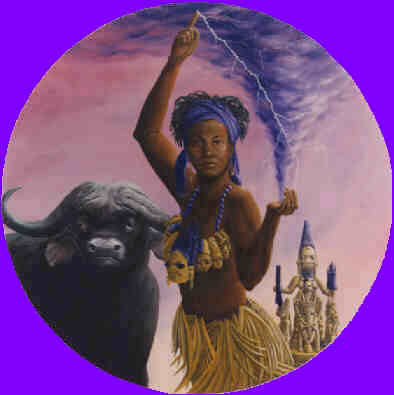 About Oya: A Yoruban Mother Goddess and spirit of the river Niger, Oya flows with us through the last day of January, strengthening our passion for and appreciation of life. She is wild and irrepressible, like the fire she’s said to have created, yet Oya presides over matters of fairness and custom, using that fire as the light of truth. Artistic depictions of Oya show a nine-headed woman whose bosom speaks of fertile femininity. To Do Today : Enjoy a glass of water when you get up to begin generating Oya’s zest for life in your body and soul. This is also very suited to the energies of the day. Aquarius represents the Water Bearer who continually pours inspiring, creative waters from celestial spheres into our lives. Get out and do something daring today. Invoke Oya through your pleasure and pure excitement. Dare to dream; then try to make that dream come true somehow. Help me set a course for the year ahead. You are a charitable and public minded person who is ambitious, energetic, determined, dedicated, but can be opinionated and strongly affected by outside events that are unexpected or out of their hands. You are usually very honest and forthright. Your word is your bond. Once given, you stand by your word and your decisions. You do not have a problem with other people’s right to their own beliefs and you think everyone is entitled to their own approach in life. You are very considerate of others. You are very independent. You are an individualist. You find it hard to team up with others and tend to go your own way. You have an active imagination, sometimes letting it run away with you. You are usually 50 years ahead of your time. You have high Morals and values, and are compassionate and friendly. You are happiest in work like teaching, writing, painting, inventing. Try this on your way to work. To stay alert during a long car ride try essential oil of Peppermint. Sow, transplant, bud and graft: From New Moon through First Quarter to Full Moon. Plow, cultivate, weed and reap: From Full Moon through Last Quarter to New Moon. Plant above-ground crops with outside seeds, flowering annuals: Between New Moon and First Quarter. Plant above-ground crops with inside seeds: Between First Quarter and Full Moon. Plant root crops, bulbs, biennials, perennials: Between Full Moon and Last Quarter. Do not plant: Between Last Quarter and New Moon. Cancer – Most favorable planting time for all leafy crops bearing fruit above ground. Prune to encourage growth in Cancer. Scorpio – Second only to Cancer, a Scorpion Moon promises good germination and swift growth. In Scorpio, prune for bud development. Pisces – Planting in the last of the Watery Triad is especially effective for root growth. Taurus – The best time to plant root crops is when the Moon is in the sign of the Bull. Capricorn – The Earthy Goat Moon promotes the growth of rhizomes, bulbs, roots, tubers and stalks. Prune now to strengthen branches. Libra – Airy Libra may be the least beneficial of the Fruitful Signs, but is excellent for planting flowers and vines. Leo – Foremost of the Barren Signs, the Lion Moon is the best time to effectively destroy weeds and pests. Cultivate and till the soil. Gemini – Harvest in the Airy Twins; gather herbs and roots. Reap when the Moon is in a sign of Air or Fire to assure best storage. Virgo – Plow, cultivate, and control weeds and pests when the moon is in Virgo. Sagittarius – Plow and cultivate the soil or harvest under the Archer Moon. Prune now to discourage growth. Aquarius – This dry sign of Air is perfect for ground cultivation, reaping crops, gathering roots and herbs. It is a good time to destroy weeds and pests. Aries – Cultivate, weed and prune to lessen growth. Gather herbs and roots for storage. Excerpted From Elizabeth Pepper, The Witches’ Almanac, Ltd.
written in the forest shadows. On this night in ancient Greece, the Lenaia was celebrated. It was the festival of the Maenads, women who followed a now-mysterious cult of the God of Ecstasy, Dionysus. Little is known about the celebrations of these women, who for more than 200 years practiced a religion apparently based upon union with the divine. Yet even, 2,000 years after their societies were disbanded, the Maenads still hold a powerful place in our imagination. What were they like, these seekers of ecstasy? How did they find the divinity within themselves? We may never know, but we can celebrate the instinct for transformation within ourselves, however it may manifest itself. GrannyMoon is Founder and Mother High Priestess of GoddessSchool, Sisters of the Burning Branch, dedicated to the Feminine Divine, which is celebrating it’s 14th year! Former staff member and student of the Esoteric Theological Seminary, LDS Seminary and is an ordained Metaphysical Interfaith minister with doctoral degrees in Theology and Divinity. Doula, Reiki Master and Lifetime Member of Herbal Healer Academy, Inc. Former VA State Representative A.R.E.N. (Alternative Religions Educational Network.) We offer an on-line and off-line community for women, including workshops and retreats. Offering High Priestess Training and Community, Healing Arts and Pagan Studies to all seekers. Join our Order of the Black Hat, just for fun, we meet once a month! Call on us, when you need a safe place, when you need caring and soothing from the world! About The Morning Feast and Goddessschool.com – The teachings here are based on ordinary magick, the principle that the mundane and the Divine are not separate, but peacefully coexist in all things. Know Mother Earth as the ultimate healer, and learn to utilize her gifts of nature. Inside each woman is a being of wisdom, deeply connected to the phases of the moon and the tides of the sea. All we need to do is trust our innate wisdom. DISCLAIMER: Submitted In The Spirit of Fair Use! This is how we weave our web, what if witches had never shared their knowledge ….. where would we be? Right back where we started from…in the broom closet!!! Please do consider checking out the sources and products mentioned here and purchasing them. Either through the Morning Feast (that is really appreciated), through their website and/or directly from the author! I do not claim to have made any of the graphics or written the articles that I send to this list. They come from a wide variety of sources and submissions. Any infringement of said copyright is non-intentional and will be rectified upon notice and proof of ownership. Please feel free to share this work in it’s entirety…but please do give credit where credit is due and link back to the author (if available) and to GrannyMoon’s Morning Feast! 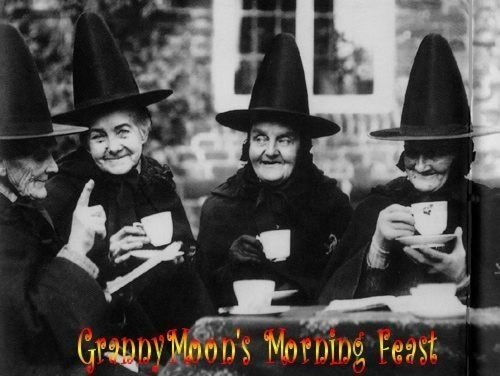 Remember you can always read GrannyMoon’s Morning Feast here: http://groups.yahoo.com/group/GrannyMoonsMorningFeast Thank you! Every Day is Earth Day! Love Your Mother! Follow Me On My Old Facebook Page! Follow Me On My New Facebook Page! The Week-End Witch with GrannyMoon! May the love of the Goddess be ever in your heart. 20 Join The International Order of the Black Hat! Wishing you good health, happiness and good cheer in the coming year! Get Your Personal Snapshot Reading for 2015! A guide to help you understand the opportunities and issues you may face in the coming year! Send a $15.00 donation and your date of birth here!